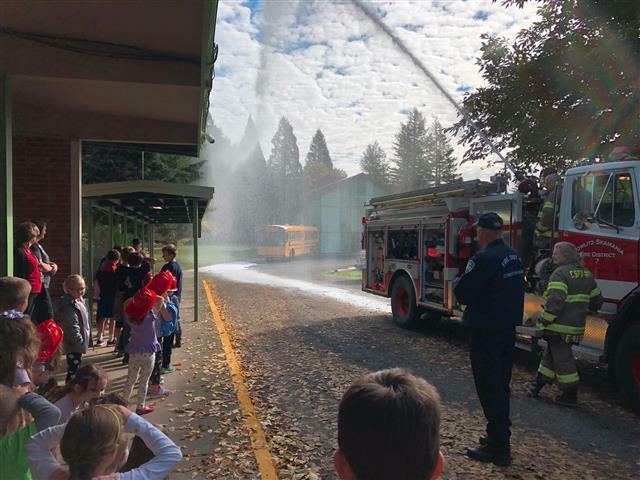 Yale Elementary students learned fire safety from the Cowlitz-Skamania Fire District 7 firefighters during a visit recently. 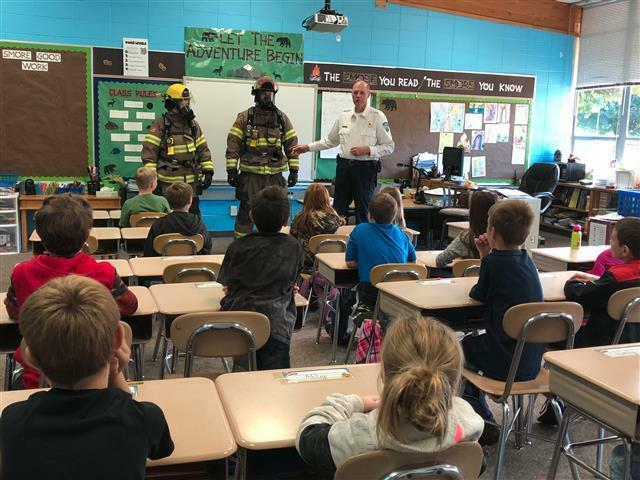 Firefighters taught students what to do in the case of a fire including safety procedures, the importance of calling 911 in emergencies, and not to be afraid of a firefighter in full equipment – they’re here to help! After visiting each classroom, the students were invited to see one of the fire trucks in action! Firefighters answers questions and demonstrated the many features of their truck including the hoses used to spray foam to suppress fire. “This was definitely a highlight for many of our students,” said Lesley Miller, one of Yale’s staff members. 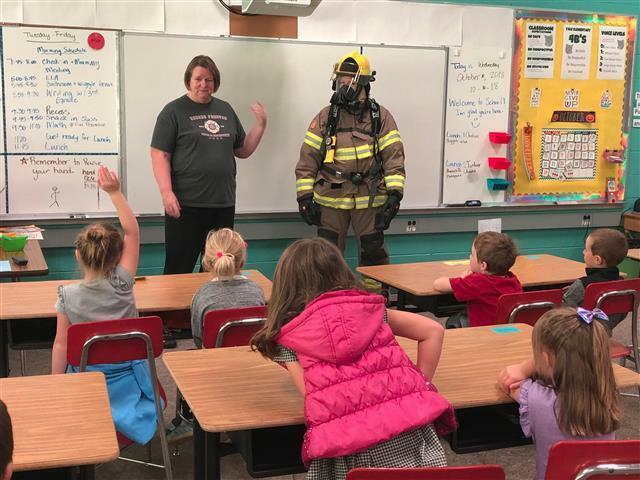 Students learned about fire safety, calling 911, and more! Thank you to Cowltiz-Skamania Fire District 7, particularly Chief Gary Stuart, Captain Keith Stuart, Lieutenant Elly Miller, and Lieutenant Denny Parkhill!